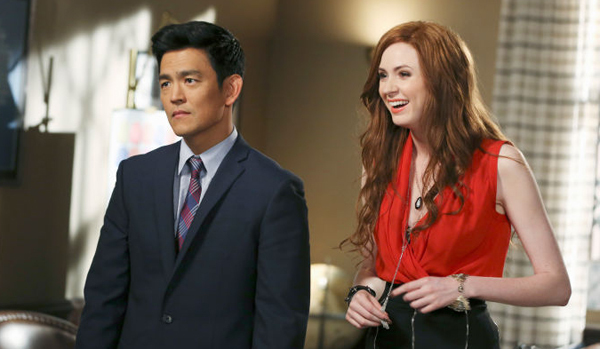 John Cho ("Star Trek") and Karen Gillan ("Avengers: Infinity War") star in SELFIE, a short-lived sitcom inspired by "Pygmalion" and "My Fair Lady," about a self-obsessed social media celebrity who turns to a stick in the mud to get her real life back in order. This week, William Bibbiani and Witney Seibold are joined by actor Samm Levine, the co-star of "Selfie," who tells behind the scenes stories from the production! Follow the podcast on Twitter at @CanceledCast, follow your hosts at @WilliamBibbiani and WitneySeibold, follow Samm Levine at @SammLevine, and head on over to the Canceled Too Soon Patreon to help keep the show running get access to even more exclusive C2S content!